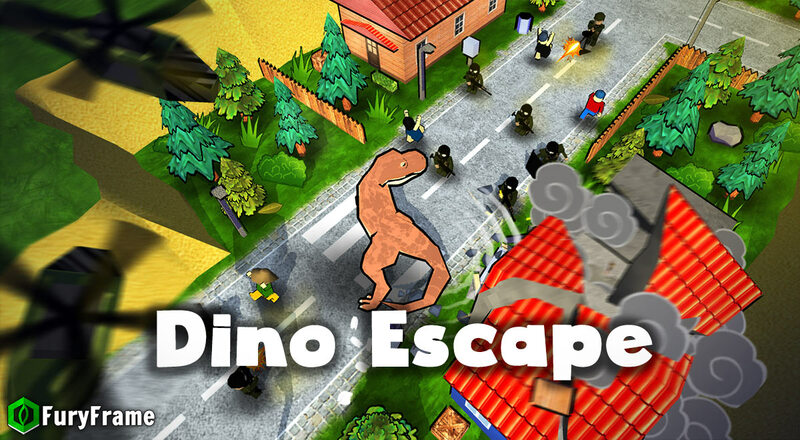 Help Dino to escape from city. 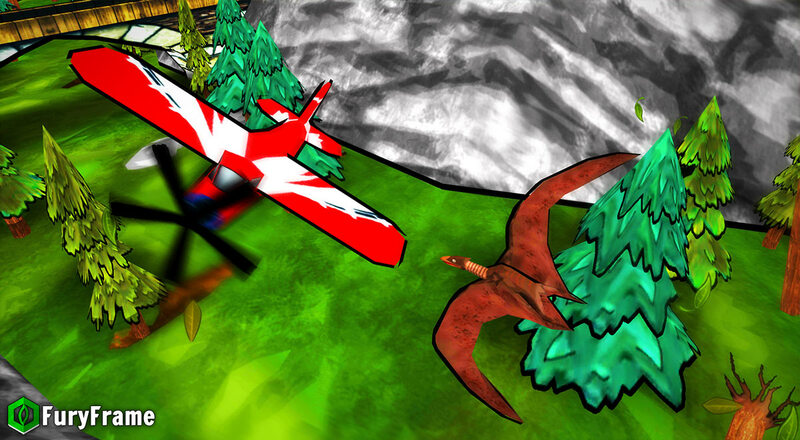 Grow-up your dinosaur to smash your toy enemies to save maximum number relatives. 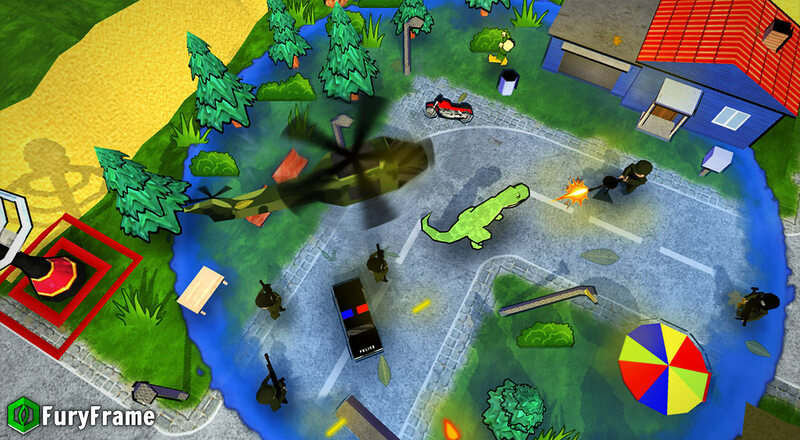 You have 30 different locations where you can destroy everything. Fight with government toy army and robots. Punch down buildings, smack down skyscrapers, bash houses to bits! 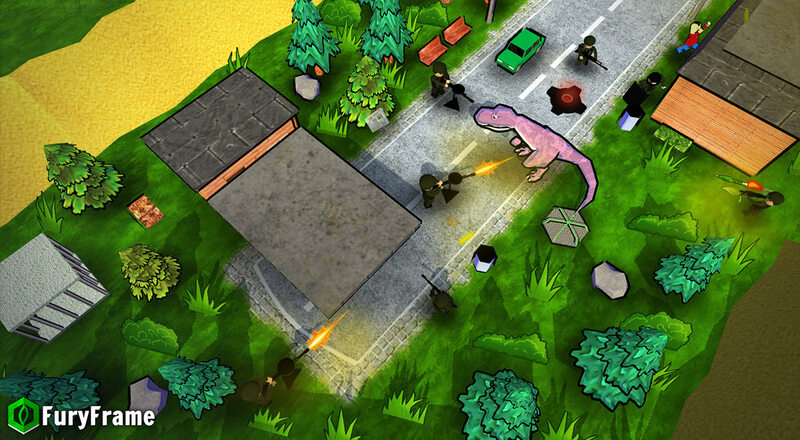 The toy police, SWAT, and the army will try to stop T-Rex causing maximum destruction! Battle APCs, tanks, helicopters and more! How much City can you destroy?! 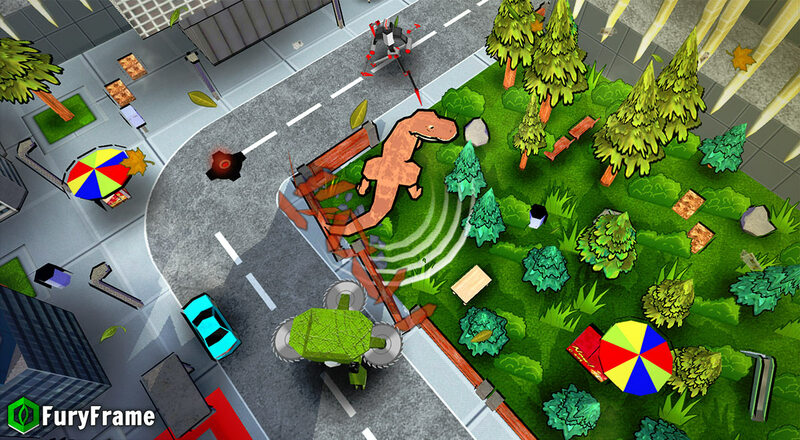 There is different targets: destroy toy objects, hold checkpoints, boss fight and arena mode. Your character is customizable: change colors, upgrade size or your skills like health, speed, damage etc.